If you’re a veteran in the beauty sphere, you’ll probably know that beauty bloggers have long been singing the praises of rice water for skin. But have you thought about how you can use it for your hair too? Rice water has similarly enjoyed a long history of being used to treat and help beautify hair in Asia. 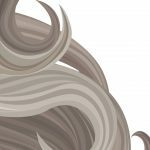 This easy-to-make treatment is thought to be an effective treatment for boosting hair growth, as it’s packed with amino acids, vitamins, and minerals. In this article, we’ll explore the effects of rice water on hair and the best ways to use it at home. It isn’t as elusive as you think, and can be easily adapted into your regular hair care routine. 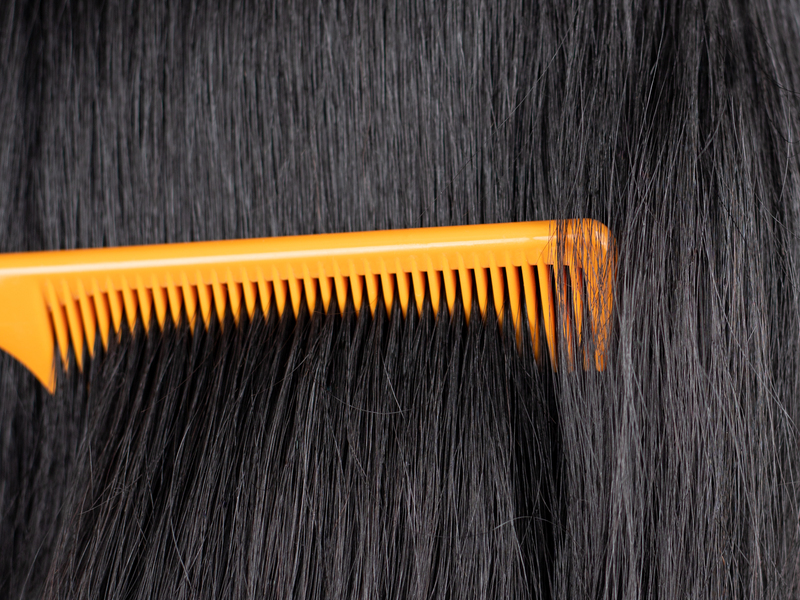 We’ll get you started with some facts on this hair care gem. 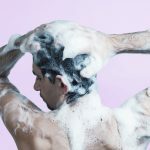 While rice water has recently gained worldwide popularity as a skin care ingredient and hair treatment, the idea that it can benefit hair and skin is anything but new. East Asian women in China, Japan, and Korea have been using fermented rice water for centuries as both a skin-clarifying toner and a vitamin-rich hair conditioner. Coming from an age without silicone-based conditioners to create the appearance of sleek smooth hair, we’re pretty impressed! The practice is still going strong, as evidenced by the Yao women of Huanglo, whose lustrous, beautiful hair helped to bring the world’s attention to rice water. Today, rice water can be found as an ingredient in hundreds of skin and hair products. With the golden age of organic beauty in full swing, natural ingredients like rice water are more popular than ever. With so many beauty brands popping out their own rice water formulas, we thought you might like to get in on the trend, and become savvy about why exactly rice water is such a hit with beauty lovers all over the world. Amino acids: Amino acids are important building blocks of the human body, and can help to prevent hair loss, condition hair follicles, and strengthen individual hair shafts. Vitamin B: B-vitamins can help to replenish hair thickness and improve hair texture. Vitamin E: Vitamin E is a powerful antioxidant that can help to heal and prevent damage throughout your skin tissue. It can also help to boost circulation, supplying your hair follicles with the nutrients that they need. Minerals: Rice water contains calcium, selenium, magnesium, and potassium. They are all important minerals that your body needs in order to produce strong, healthy, long hair. Ferulic acid: Ferulic acid is an antioxidant that promotes collagen production, and can help to maintain healthy skin tissue and follicles. Allantoin: Allantoin is a natural, anti-inflammatory substance that can help to soothe and heal your scalp, and promote soft, healthy hair. Most articles on rice water cite a single study that was published in the Journal of Cosmetic Chemists as evidence for the effectiveness of this ingredient. But, as CurlCentric points out in this article, this ubiquitous study doesn’t actually involve a controlled experiment that would scientifically support our rice water obsession. There’s plenty of anecdotal evidence for the effectiveness of rice water, but unfortunately, there aren’t many scientific studies directly related to this ingredient. We just wanted to be real with you as always. While there isn’t much medical research on rice water itself, we can still look at the science that supports the benefits of the different nutrients that it contains. Just remember to prepare your rice water using nutrient-rich rice (we recommend using organic, non-GMO, brown rice). Anti-inflammatory and healing properties: Allantoin, one of the nutrients in rice water, has been scientifically shown to have anti-inflammatory properties. This nutrient can help to soothe inflammation and heal damage in your scalp, potentially preventing hair loss due to inflammation or irritation. Hair and scalp conditioning: Research has shown that minerals like magnesium, calcium, and potassium can be absorbed transdermally (“through the skin”). This research supports the idea that rice water hair rinses can help to condition your hair follicles and scalp with vital minerals, leading to stronger—and potentially longer—hair. Damage control: We know that rice water contains antioxidants, including vitamin E and ferulic acid. One study found that the antioxidants found in rice could help to prevent hair from UV damage, helping to preserve its luster and color. With this in mind, there definitely seems to be a scientific basis for the idea that rice water can help to keep your hair soft, vibrant, and shiny over time. Of course, it’s important to note that the benefits of rice water may vary according to different hair types. Overall, though, it seems to be a pretty versatile ingredient. Plenty of natural hair bloggers out there are promoting rice water as a DIY wellspring for hair health—and beauty bloggers with processed, color-treated hair have also experienced positive results! If you’re interested in trying out a rice water hair rinse, the first step is to select a nutrient-rich variety of rice. We recommend using brown rice, which is especially rich in minerals like magnesium; or wild rice, which tends to be vitamin-rich. There are two methods for preparing rice water: soaking and boiling. 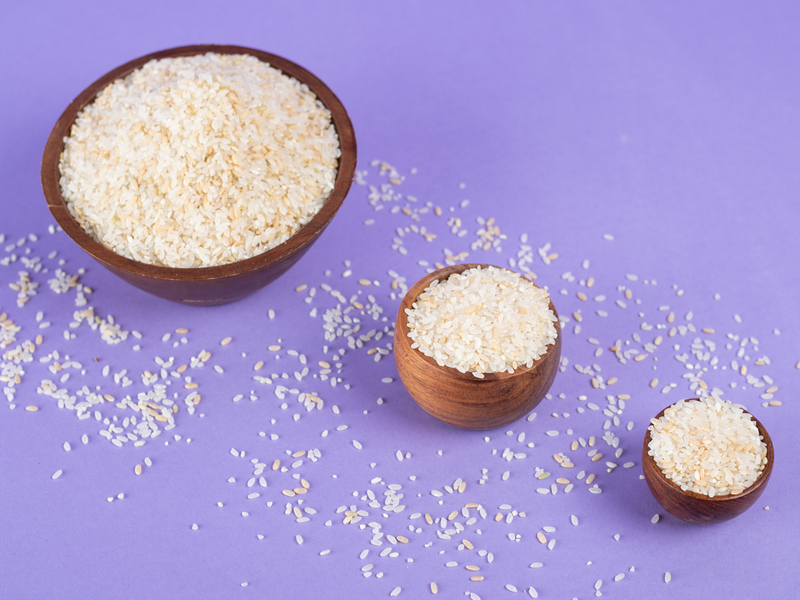 The soaking method: By soaking grains overnight before eating them, you can actually increase the bioavailability of the nutrients they contain, making them even healthier for you. All you have to do is submerge the grains in plenty of water, and leave them to sit for about 12 hours. When your rice is done soaking, just strain it out of the water. You’ll be left with healthy grains to cook, and nutrient-rich rice water to use on your hair. How’s that for multi-tasking? The boiling method: Here’s some good news for lazy girls (work smarter, not harder!) like us. You don’t need to plan ahead in order to make rice water. Instead of letting it soak for hours, you can just boil it on the stove. Measure out your rice as usual, but add about three times the amount of water you’d usually use. Let the rice cook as desired, and then strain it out of the water. If you prepare your rice water using the boiling method, you’ll need to water it down a bit before using it on your hair. We recommend using about ½ cup of boiled rice water per 3 cups of pure water. If you want to amp up your rice water hair treatment even more, you can combine it with one of the following, hair-healthy ingredients. These water-based ingredients will combine easily with rice water. Chamomile tea: Chamomile tea naturally boosts softness of hair while soothing your scalp. Green tea: Antioxidant-packed green tea helps to balance oil production, promote circulation, and add shine to hair. Its healing benefits are a plus for your skin too. Black tea: Black tea adds a depth of color to dark hair, masks gray hair strands, and helps to prevent over-shedding. Rose water: Rose water helps to heal damage to your hair and scalp. Its anti-inflammatory properties may help include itchy scalp conditions. Finally, here are also some of our favorite essential oils that have been proven to help hair grow faster and healthier. To use your rice water rinse, start with dry or wet hair. Sitting or standing in the shower, submerge your hair and scalp in a large bowl full of your rice water rinse. Let your hair sit in the water for up to five minutes, while gently massaging your scalp. A scalp massage helps to promote circulation and promote better absorption of nutrients! After a few minutes, remove your hair from the water. Allow the rice water to sink in for up to ten more minutes (this would be the perfect time for you to slap on a face mask as well). Next, rinse the rice water out under your shower head. Make sure to be thoroughly, as you don’t want any residue to clog up your pores, or to weigh down on your hair. Allow your hair to air-dry for a bit, and then gently comb it out. For the best possible results, we recommend repeating this process about once per week. Don’t forget to also shampoo and condition regularly, since rice water isn’t a substitute for a thorough cleanse. For the final touch, you can follow up with a hair serum after washing your hair to boost its appearance all day long, and help keep frizz in control. There you have it: a centuries old hair care secret that’s been demystified and broken down into a DIY treatment you can complete at home. If you’re seeking more DIY ideas for nourishing and strengthening your hair, we recommend checking out our posts on making your own DIY hot oil hair treatments and using sunflower oil on your hair. Everyone’s different, so see what works best for you! What’s your favorite underrated hair care secret?